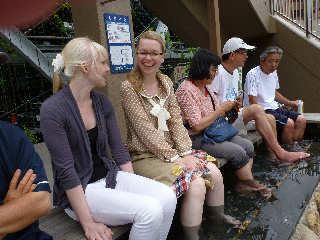 Yesterday afternoon we first tried the ashiyu or foot bath. Again, the weather was quite chilly, but after a while the warmth from your feet spread to the whole body. We were surprised how relaxing it felt. Afterwards our feet looked slightly cooked but it felt really good! 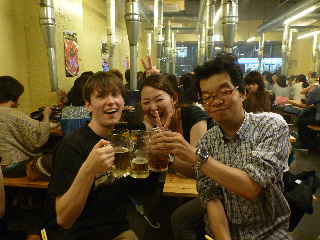 In the evening we went to a yakiniku restaurant. 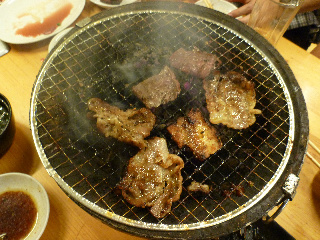 We almost ended up eating more than the size of our stomachs because the meat was so delicious.